Welcome to the Helmdon Parish Council website providing detailed information about YOUR local services. 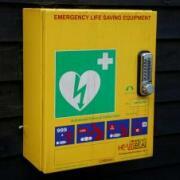 It also aims to keep you up-to-date with Helmdon Community events. and What's On (summary) is here. Headings & Event Titles in blue box, and all blue text, are links to click for more information. Click here for advice on searching this website or to contact us. Tickets Still Available For Food & Drink Quiz! How do you fancy putting your taste buds to the test?... The Acorns Food & Drink Quiz is this Saturday and there's still tickets available! Get a team together and come along. What do you think of our new light bulbs? 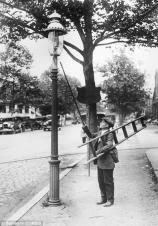 We have replaced the bulbs in two street lights so far: one in the street light at the top of Shortlands Close and the other in the street light at the edge of the village on the Wappenham Road. At the same time the lanterns themselves have been given a much needed spring clean. 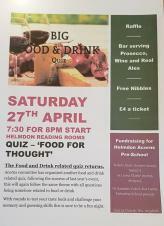 We still have tickets available for HELMDON ACORNS QUIZ NIGHT on Saturday 27th April, 7.30 for an 8pm start at the Reading Room, Helmdon. £4 per ticket, teams of 6-8.Cash bar, nibbles and a raffle with some fabulous prizes. The money raised will go towards a new smart screen for the children and staff to use at the pre-school. For tickets please contact Kat Carter on 07872 421977 - free delivery. The Thursday bus - your support is needed. 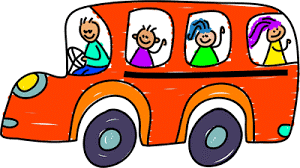 From this week, we will be introducing a suggested passenger donation of £2.00 per trip, payable when passengers board the coach in Banbury to return home. We hope that you will support us with this and we will do our best to ensure that the bus continues running long into the future. 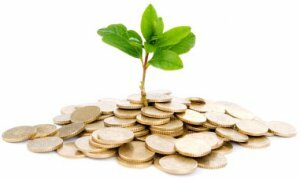 Grant applications will be accepted by the Clerk between 1st - 30th April 2019 only and will be considered by the Parish Council in their meeting on May 22nd 2019. Any applications received after the closing date of 30th April will not be considered. 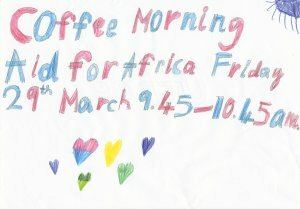 Helmdon Primary School wish to thank everyone who supported their fundraising coffee morning this morning. Thanks to your generosity, £518.76 was raised for those affected by Cyclone Idai in Southern Africa. The activity programme is open to children aged five to 15 and features a range of activities centred on movement, agility, coordination, speed, and includes fun games, team games and arts and crafts. Booking lines are already open and a full day (8:45am to 5pm) costs £19.80 and a half-day (8:45 to 3pm) costs £15.60. All sporting activities will be delivered by qualified and DBS (formerly CRB) cleared coaches. 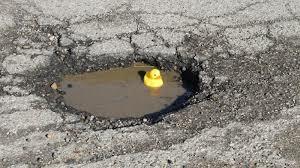 Click on above heading for page 2 of Helmdon News. At bottom of page, select next page number for earlier news. Each page shows 10 news items. 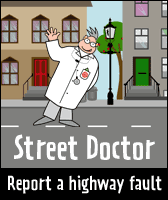 Click on above heading for a selection of local online news media. Searching for Something / Someone? Desktop MENU is on left of all pages - some items expand to second level - then click as required. Mobile MENU is 3-bars at top of page - some items expand to second/third level - tap as required. Search Facility is provided at top of all pages (click here for instruction on how to use). 111,330 page views over twelve months, updated daily. HTML5 validated. WCAG compliant. Page generated in 0.2094 seconds.